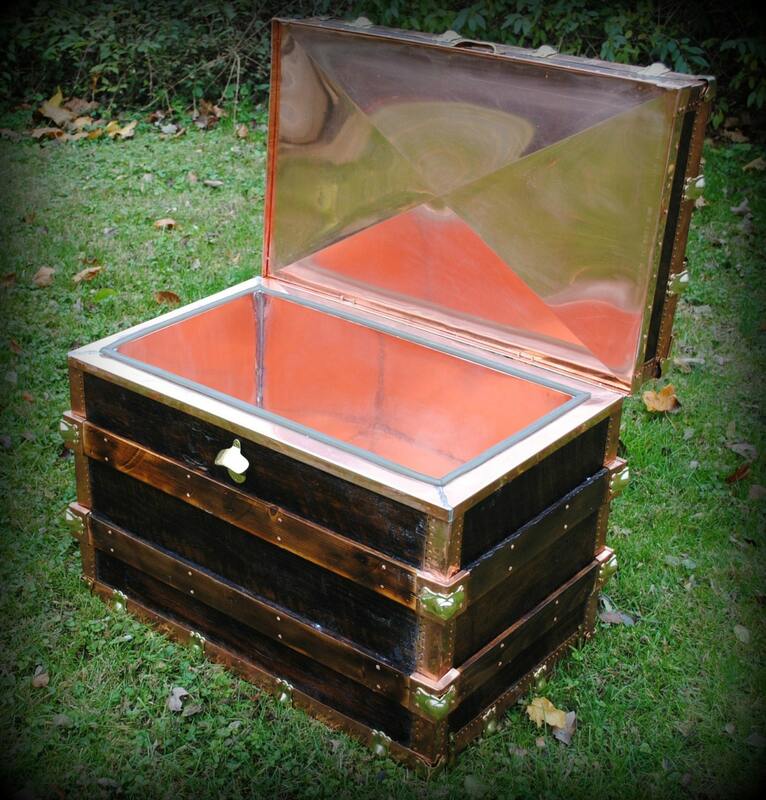 Steamer trunk cooler handmade from reclaimed wood, insulated and lined with copper. 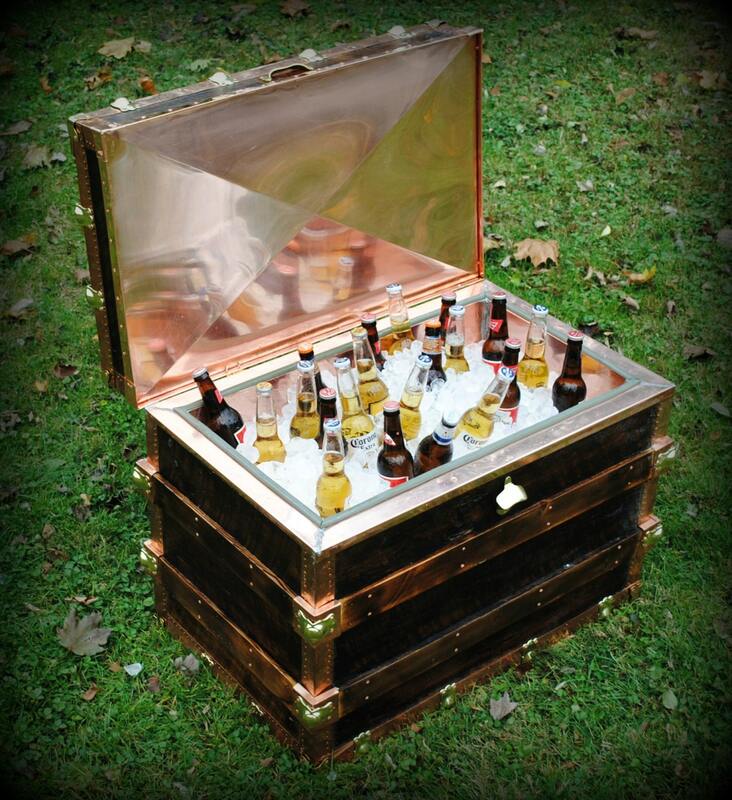 This cooler is a real show piece with all the character and beauty of the reclaimed wood accented with copper and brass details. 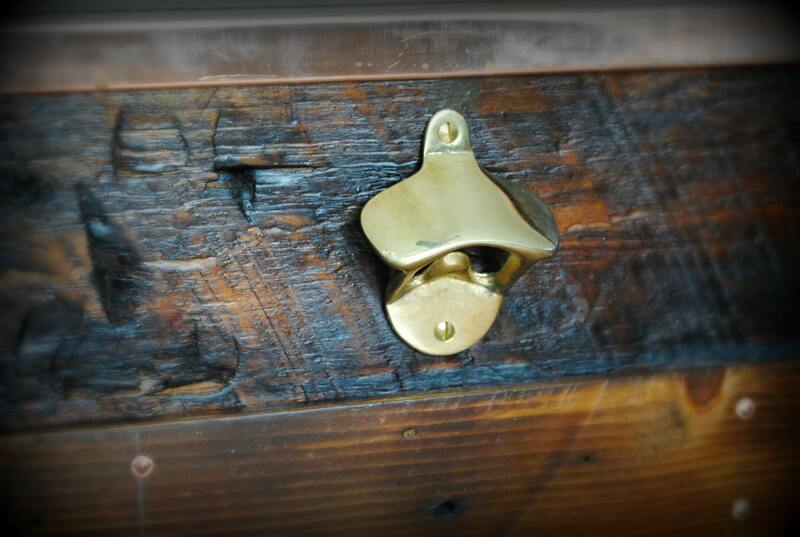 It features a brass bottle opener on the front for style and convenience. 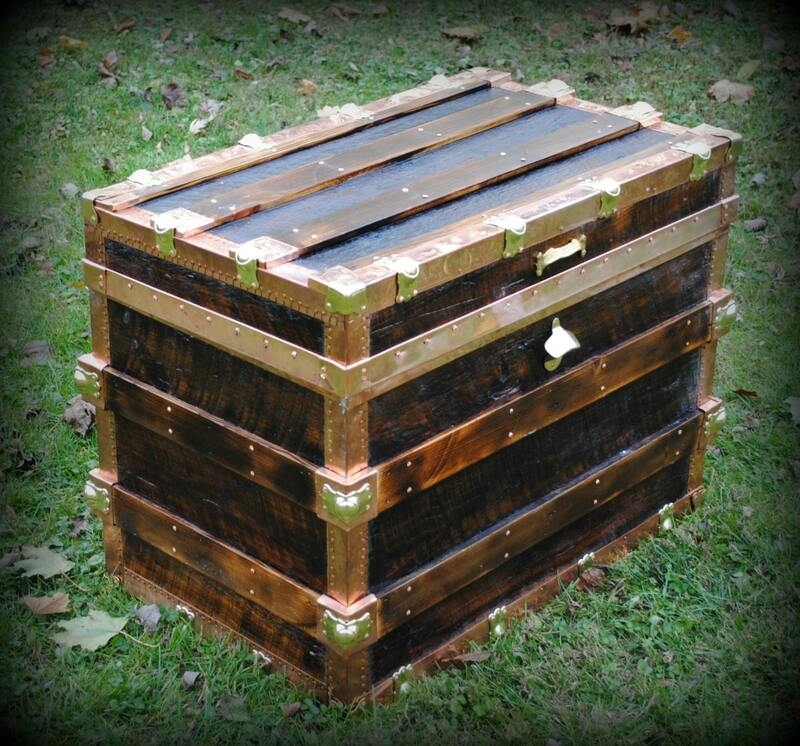 It measures approximately 24" tall, 30" long and 19.5" wide on the outside and the inside measures approximately 27" long, 15" wide and has a depth of 16.5". 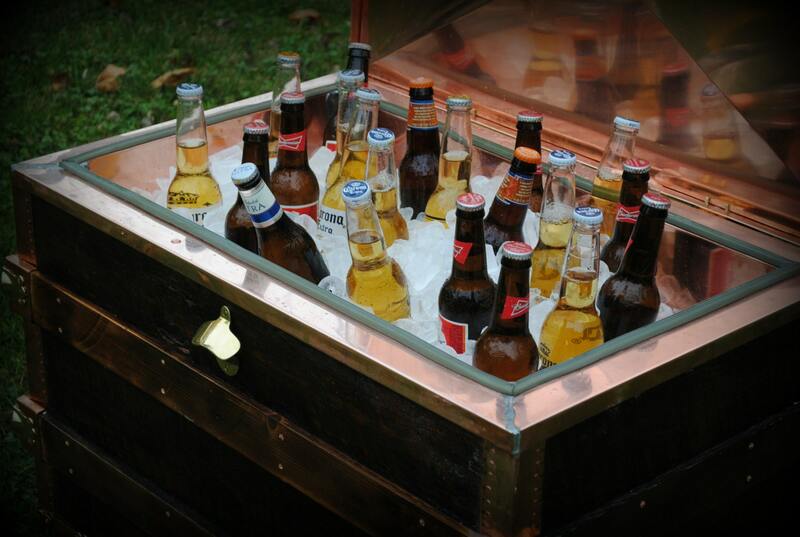 The copper lining is beautiful and also keeps the ice from melting longer than conventional coolers. It also features castor wheels for easy moving.